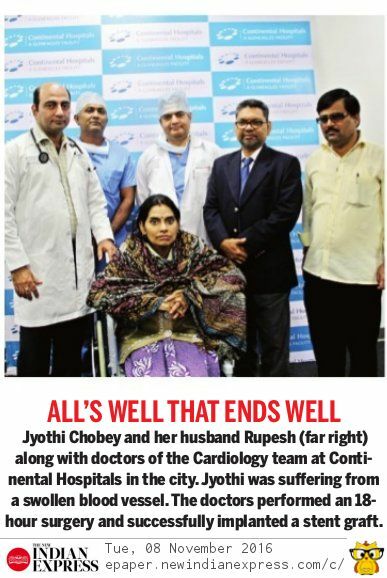 MINIMAL ACCESS CARDIAC SURGERY is being performed regularly by the team of Dr Avinash Dal at Apollo Health City, Hyderabad, India with good results. We are regularly perfoming the mitral and aortic valve replacements as well as ASD closure and have started about 3 months wilth MICS CAB with port access only and with beating heart technique. ENDOVASCULAR ANEURYSM REPAIR [EVAR] has been done many times by this unit before.However, in October 2016, we performed the operation on a patient with Thoraco-abdominal aortic aneurysm (Type IV of Crawford) and we used extensive aortic debranching from both the common iliac arteries. 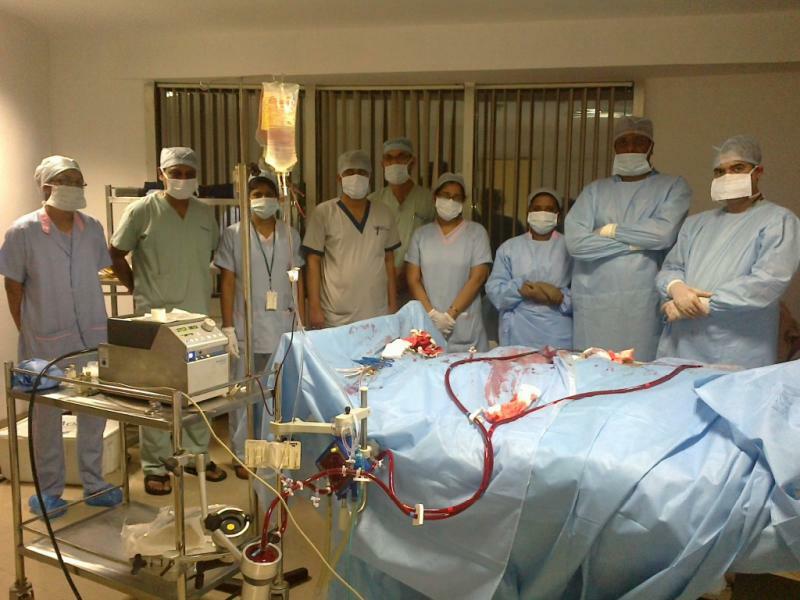 In this way, she was repaired later with a stent graft in the thoracic to abdominal aorta uneventfully. Extracorporeal membrane oxygenation with advanced perfusion techniques is the thing required in refractory heart or lung failure. The first case in Apollo Hospital, Hyderabad was set up by Dr Avinash Dal unit and we have been in constant help for all the cases that took place later. Video assisted thoracic surgery also known as thoracoscopy is utilized to a great extent in the Continental Hospital, Hyderabad by the Dr Avinash Dal unit. The surgery is done, unlike conventional surgery, through insertion of ports instead of a big incision, being done by other surgeons. This gives a good relief from pain as well as it is cosmetically more appealing to the patients. 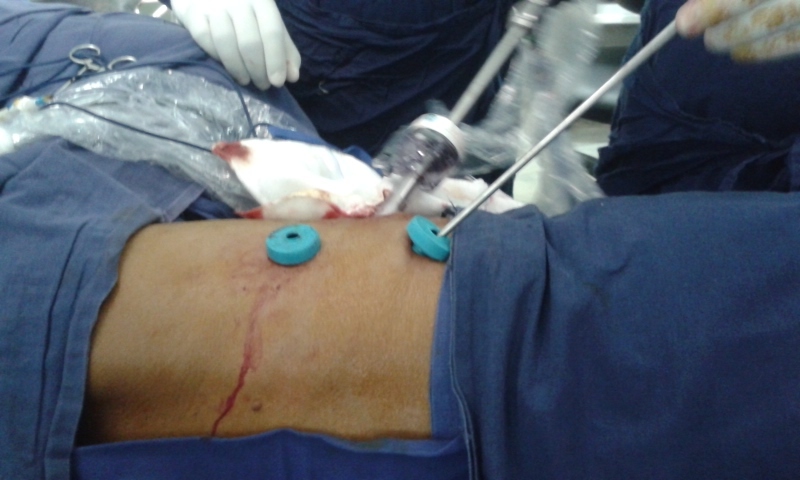 Pain in thoracotomy incision is usually due to the compression of the intercostals nerve, that passes along the ribs, by the retractor instrument that is used to open the chest cavity. In VATS, we use only ports and hence there is no need of any retraction of ribs and hence there is very little chance that the patient may get some neuralgia [pain due to nerve affliction] in this surgery. Due to the absence of pain, patients are able to breath better after surgery than those who undergo conventional surgery and hence their recovery is better in the postoperative period. Also, as the length of the incision is smaller, there is less oozing of blood inside of the chest from these small keyhole puncture points and this is one of the main reasons that the bleeding after surgery is less than in conventional surgery.